At Atlantic Health System, we understand that a brain tumor can be a devastating diagnosis – but there is hope. 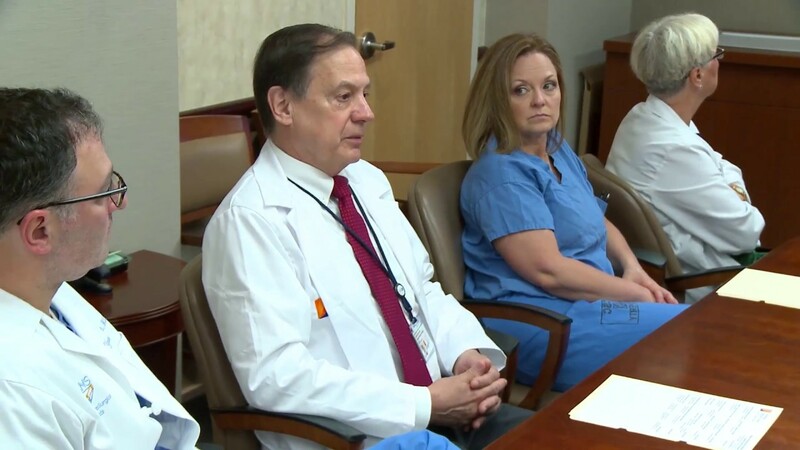 Patients and their families can feel confident in turning to the Gerald J. Glasser Brain Tumor Center at Overlook Medical Center, where our program offers the latest advances in treatment combined with compassionate, individualized care. As part of Atlantic Neuroscience Institute and Carol G. Simon Cancer Center, our brain tumor center provides diagnosis and treatment of both benign and cancerous tumors of the brain, skull base, spine and spinal cord. The staff, including the surgeons, are unbelievably compassionate. They go above and beyond and literally give you as much time as you need to make you feel comfortable. The whole experience was priceless, well beyond all our expectations. Benign brain tumors grow slowly, tend to not spread to other areas of the body and have defined borders. Malignant tumors, in contrast, grow quickly and are more invasive. Both may be considered life threatening, depending upon their location and if they interefere with vital bodily functions. Our brain tumor center, which is part of Atlantic Neuroscience Institute and Carol G. Simon Cancer Center, is well-equipped to care for benign and malignant brain tumors, as well as those affecting the skull base, spine and spinal cord. We have a team of experts specializing in neurosurgery, skull base surgery, otolaryngology, radiation oncology, neuro-oncology, medical oncology, neuro-radiology, neurology, neuro-pathology, physical medicine, social work, nutritional therapy, supportive care and pain management. We also participate in clinical trials that help discover the next generation of brain tumor treatments. I am very grateful; I am extremely blessed. Dr. Moshel, all the nurses, the other doctors, the staff - it was like a miracle. I had a miracle in my life. Atlantic Health System Neuroscience participates in dozens of clinical trials each year, giving our patients access to the latest technology and medications sooner than available to the general public. Our neurological researchers frequently present their findings from these studies at key medical meetings around the globe.